SNP leader Nicola Sturgeon is famous for her love of the selfie. Image: Plaid Cymru, Flickr. Confident, vibrant, insecure. Three words to describe three very different party conferences this autumn. Conference season is as much about performance as it is about policy. So what do the three big Scottish party conferences tell us about Scotland’s political landscape ahead of May’s Holyrood election? 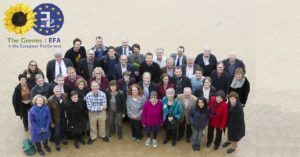 The ascendant Scottish Greens were first out of the blocks in early October with their biggest conference ever. Held in the cavernous SECC in Glasgow the conference was attended by over 700 people, many of whom were new members, having joined since the referendum. On stage, the eight top candidates for the regional lists took center stage, reinforcing the party’s aim to elect at least one MSP in each region. The eight include co-conveners Patrick Harvie and Maggie Chapman, standing in Glasgow and the North East list respectively. Both Harvie and Chapman spoke about 2016 as the party’s biggest election yet and the mood was vibrant and enthusiastic. Delegates were keen to learn, including from Adam McGibbon – Caroline Lucas’s campaign manager for her huge re-election success in Brighton. Guest speakers included food poverty campaigner Jack Monroe and health inequality expert Sir Harry Burns, both of whom had the audience in rapturous applause and stunned, teary eyed silence in equal measure. 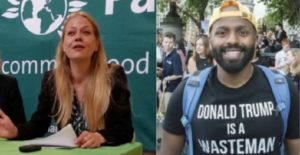 Their powerful speeches illustrated perfectly the importance of connecting poverty, inequality, capitalism and climate change. 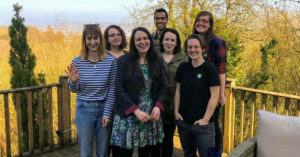 That marrying together of environmental and social justice is what the Greens believe sets them apart in a Scottish political field dominated by social democrats. Similarly the launch of the party’s trade union group showed just how seriously the party takes its socialist credentials and it’s longer term aim of replacing Labour in time. As a small but growing party, the Greens are still getting used to operating with 5 times as many members but with a staff base you could count on the fingers of one hand. It showed a little in the slightly chaotic organisation of conference but the party admirably pulled off a gaff free conference. Fast forward to the SNP conference in Aberdeen in the middle of the month – again, their biggest conference yet with around 3,000 delegates. The SNP conference was, in some ways, just as stage-managed as many predicted. Standing ovations for Nicola Sturgeon; smiles and waves from newly elected MPs, standing up in unison; and the obligatory selfie with the crowd at the end of conference. Yet, the party’s new grassroots showed the leadership who was boss with a defeat on land reform and a wake up call on fracking. In many ways, this was the most accessible conference I’ve been to. All weekend, UK media and London think staff remarked at how incredible it was to be able to just walk up to MPs and MSPs and speak to them. As a stall holder, I had everyone from first time delegates to Ministers stopping by to chat and listen, always obliging with a photo and always happy to talk openly about the issues at hand. That unguarded confidence is perhaps what comes with such an overwhelming majority in both the Scottish Parliament and amongst Scottish MPs. It’s a very attractive trait and one which draws you in and makes you want to be part of this still growing party. One delegate told me that in a previous year, they had held the conference in the same venue – the Aberdeen Exhibition and Conference Centre – but they’d held the whole thing in the wee hall that was home to exhibitors this year, whilst Boyzone had played in the huge hall the delegates occupied this year. Despite that remarkable increase in scale, I was able to walk right into the venue without being security checked, pick up a pass in a few seconds and set up a stall. No airs and graces here, just competence and confidence. That confidence and lack of inhibition couldn’t be further from the mood of Scottish Labour’s conference of around 800 folk in Perth at the end of the the month. The whole atmosphere of the conference – setting aside the wee dose of Corbynmania – was one of fear, insecurity and suspicion. As a stall holder, it was bizarre. Almost no one wanted to stop and chat, whether delegate, MSP or councillor so most stall holders simply chatted to each other to pass the time. Having sent in every personal detail we could muster (date and place of birth, passport photo and public liability insurance) just to be able to get in the door, we then had to wait in line for the best part of an hour to collect our credentials in a room that wasn’t even in the venue. Queuing alongside journalists, other stall holders and delegates, we soon realised that there were just two people individually printing every pass. Very. Slowly. And the efficiency didn’t stop there. At the stall, we’d hoped that, as in other conferences, MSPs would swing by the stall for a chat about our latest campaigns and pose for a cheeky selfie. Instead, a woman with a clipboard strode up to us, stony faced, to inform us that she was “bringing Mary Fee over to you now”. Right enough, the list MSP for the West and Scottish Labour’s Spokesperson on Reform was ushered over to the stall where she promptly announced that she didn’t have time to chat but would pose with whatever prop we had handy. Taking the opportunity of an MSP visiting the stall, we decided to take a selfie as well as posing for the party’s photographer. Selfie taken, Mary and co departed and that, so I thought, was that. Until the stony faced woman returned to tell us off for taking a selfie because she had to get Mary round all the stalls and frankly, our selfie taking just held her up. The comparison with the SNP could not be more stark. 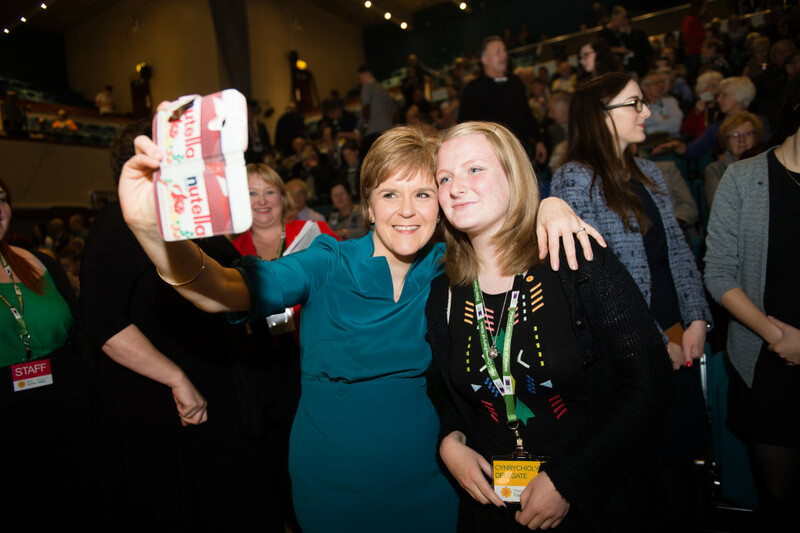 Nicola’s people must build in selfie time to any and all public engagements now – it’s simply part of how people want to engage with their politicians and ultimately with politics. Yet Labour seem stuck in a halfway house between the grandeur of government and the harsh reality of opposition; still acting like they need high end security for senior politicians circa 1997 yet unable to tap into the vibrancy of left wing politics in Scotland today. So what does any of this say about the state of Scottish politics today? Well it’s clear that Scottish Labour is a party which subsists almost solely on nostalgia and brand. Still bruised from defeat in 2007, every loss feels like an injustice to a party that still feels entitled to power. In contrast, the SNP’s mix of competence and confidence makes it almost unstoppable. But even around the edges – as the grassroots showed – people are starting to demand more from the SNP. Perhaps that’s where the Greens come in. A party on the rise, their conference was about the same size as Labour’s but with braver policies than both Labour and the SNP. They are the one party with the potential to grow and keep growing. One thing’s for sure. As Scottish Labour’s crisis deepens, the mainstream of Scottish politics is now the domain of the pro-independence left.